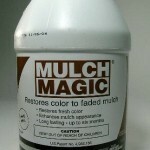 PRODUCT DESCRIPTION: Brown die which is used to renew the look of mulch like wood chips or pine straw. Can be sprayed by itself or added to the tank mix of any pesticide like weed killer or insecticide. 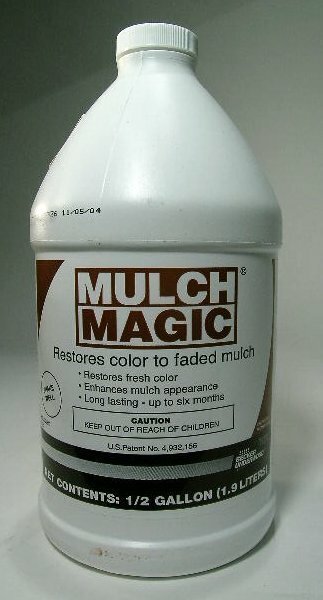 WHERE TO USE IT: Any mulch, pine island or area around the home which has mulch or other ground cover that is colored brown and looks worn and in need of being refreshed. RATE OF APPLICATION: This will vary depending on the desired darkness of the target site. Generally, 2-4 oz per gallon per 200-400 sq/ft will do the job. Making two passes over the mulch will insure a good uniform treatment.